Is it possible to stream my iTunes movies and TV series to my Chromecast? "I'm going to buy a Chromecast. But friends tell me that I can not play my purchased or rented iTunes movies TV shows on Chromecast. Is it ture? If it is possible to do it, then how?" You may know that you can just drag a local movie file to chrome browser's address bar and cast it to the big screen with Google Cast the chrome extension via Chromecast. But also it is obvious that iTunes content are protected by Apple's Fairplay DRM protection. You can only play iTunes content in Apple Ecosystem. If we need to watch iTunes content with Chromecast, we have to remove the DRM protection first. And it is better to convert the iTunes M4V files to normal MP4 files. Then how to do it? What tool do we need? NoteBurner M4V Converter Plus (For Mac & For Windows) is a professional iTunes movie to Chromecast converter which can help you remove DRM protection and convert iTunes movies and TV shows losslessly to Chromecast supported normal MP4 format at 20X faster speed with AC3 dolby 5.1 surround audio and Closed Captions/subtitles preserved. Lossless quality, amazing fast speed, and iTunes rentals are supported. 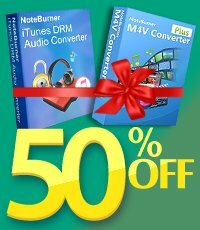 Yes, it means NoteBurner M4V Converter Plus enable you keep iTunes rentals forever as well! It will be perfect to play DRM-free iTunes videos with 5.1 audio on TV. The following is a detailed tutorial about how to convert purchased or rented iTunes movies/TV shows to Chromecast using NoteBurner M4V Converter Plus. Please download this useful tool on your Mac pc or Windows PC first before getting started. Download and install the NoteBurner iTunes Movie to Chromecast Converter on your Windows or Mac PC, then click add movie button to choose the content you want to convert from iTunes library. Click Add, the files will be successfully imported. To Cast iTunes movies/TV Shows to Chromecast, you can simply click the format bar and choose "Lossless MP4" from the profile list. The quality of the output video will be lossless. And the original 5.1 audio will be preserved! Click the convert button at the bottom of the main interface and start to convert iTunes M4V to Chromecast supported MP4 video. When the conversion done, iTunes movies and TV shows are no different from other local video files. To do this, you can enter file:///C:/ in Chrome's address bar (or (file://localhost/Users/yourusername on a Mac), and then drag and drop the file into Chrome—or press Ctrl-O or Command-O—to show your system's file browser. Hit the Cast button either before or after you choose the file you want. If you want to watch video, enjoy music on your iPhone/iPad/iPod Touch, Free iPhone/iPad/iPod manager will help you in need. Syncios iOS Manager is a free iTunes alternative, which can easily manage iPhone, iPad and iPod without iTunes and transfer music, videos, photos, apps, ebooks, contacts, messages and more between iOS devices and Windows PC.